Yesterday's walk was, by far, the most weather-challenging yet. High-speed winds blew chilly air off the lake. We got beat up by a short hail storm. 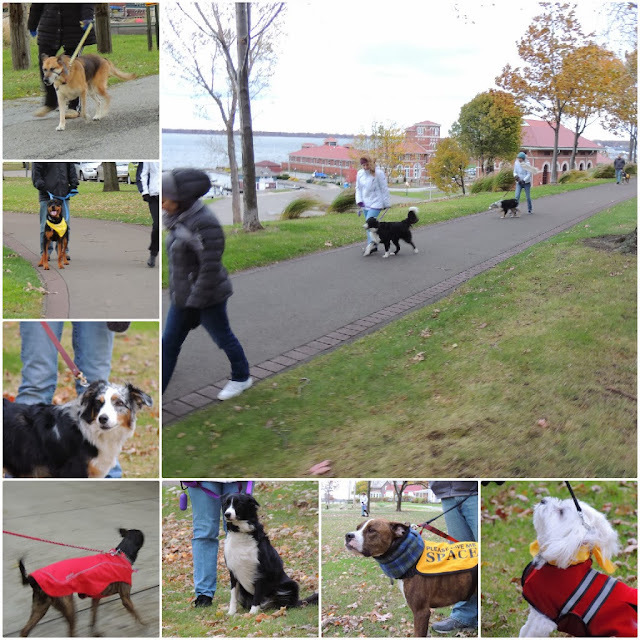 And like most canines, our member dogs had a hard time focusing with the noise from the blowing leaves, scents moving through the air. But our dogs need walks and socialization, regardless of mother nature's plans. We're just glad we don't have to do it alone! 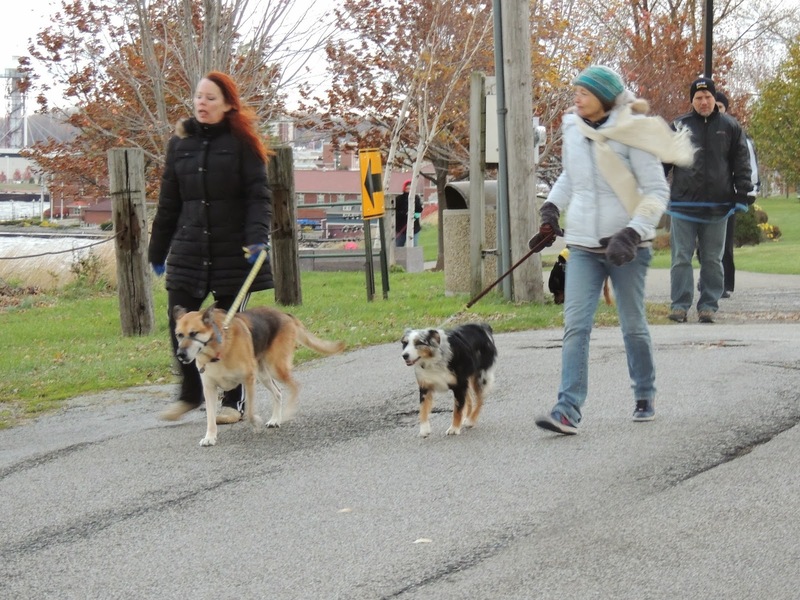 As the winter creeps up, how do you stay motivated to walk your pooch? Brrrrrrrrrrrrrrrrrrrrrrr, just looking at this makes me chilly!!! Jake wouldn't last five min in that group! Sorry we missed it! Hope to make it this week!